Life for the Ashley Family in the Shirley Wind Farm Project, Glenmore, Wisconsin since December 2010 when the turbines began operation. Life in the Shirley Wind Project for the Cappelle family. Summarizing the health, property, and financial problems for Cappelle family since the turbine’s beginning operation December 2010. Life for the Schauer Family since the Shirley Wind Turbine Farm began operation in December 2010. Talks about sleeping, doing homework, etc in the basement to get away from the noise and vibrations of the wind turbines. Life for Jean Tenor in the Shirley Wind Project, Glenmore, Wisconsin. Summarizing Jean’s health problems since the turbine’s beginning operation December 2010. 2 turbines 1900 feet from their home. She has felt miserable since the turbines went up. Life for Kevin Ashenbrenner in the Shirley Wind Turbine Farm, Glenmore, Wisconsin. Summary since the turbines began operation December 2010. One mile away from the nearest turbine. Health issues for family and their farm animals. 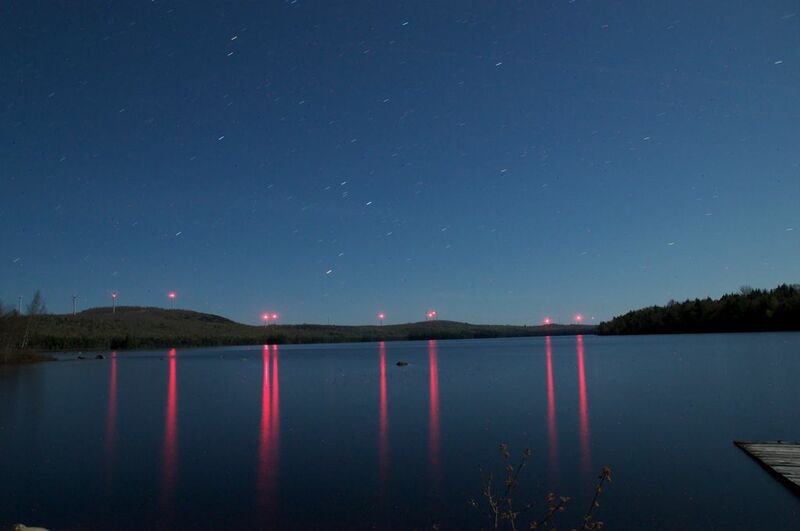 Over a year ago, Vermont was supposed to be looking into the health impacts of wind turbines. Nothing has happened with that docket. 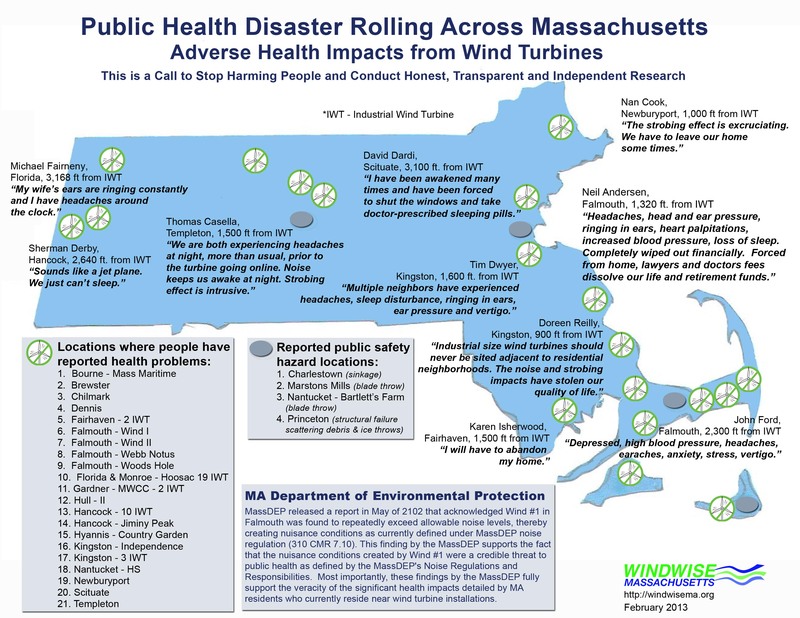 State (Massachusetts) hearing on bill to study health impacts of wind turbines set for Tuesday (July 28th).